We’d love your help. Let us know what’s wrong with this preview of Out of the Darkness by Elizabeth Johns. To ask other readers questions about Out of the Darkness, please sign up. Short, but sweet. I really liked the story. The pacing was a little off, and I was left wondering if I had missed something several times. However the heroine and hero were both great characters. "Out of the Darkness" is a novella, another investment in the continuing story of a family of characters created by author Elizabeth Johns. I have read them all and enjoyed each one, some more so than others. I read this quickly and am now engrossed in her newest "After the Rain". This story follows Catriona Craig, the adopted daughter of Lord Craig. She is a young lady that has no lofty goals of society and spends her time fascinated with the garden of healing herbs and plants. Lord Craig is als "Out of the Darkness" is a novella, another investment in the continuing story of a family of characters created by author Elizabeth Johns. I have read them all and enjoyed each one, some more so than others. I read this quickly and am now engrossed in her newest "After the Rain". This story follows Catriona Craig, the adopted daughter of Lord Craig. She is a young lady that has no lofty goals of society and spends her time fascinated with the garden of healing herbs and plants. Lord Craig is also Dr. Craig, a well respected practicing physician. Catriona has always been interested in medicine and has gleaned much from her father. It’s a sweet story. I would give it four stars but the mouthful of the name “Catriona” was an irritating stumbling block in my reading, so I gave it three instead. (Even a nickname of “Cat” would have helped!) Still, it’s a keeper in my personal library and Elizabeth Johns an author up there among my favs. My suggestion is reading all these family connected books in order, as they will make the story fluency most enjoyable. Probably most men who lose limbs in war or in any other circumstance do not feel they will be able to achieve their ‘happily ever after.’ We make heroic efforts, in this day of prostheses and special therapies, to enable men and women who are injured in this way to live a normal life. But 200 years ago, there was a little of this. The prosthesis was a wooden leg, or a wooden hand. But one was still maimed and one still expected much less from life. Enter the miraculously counter-culture Lord Crai Probably most men who lose limbs in war or in any other circumstance do not feel they will be able to achieve their ‘happily ever after.’ We make heroic efforts, in this day of prostheses and special therapies, to enable men and women who are injured in this way to live a normal life. But 200 years ago, there was a little of this. The prosthesis was a wooden leg, or a wooden hand. But one was still maimed and one still expected much less from life. Enter the miraculously counter-culture Lord Craig. A medical doctor and reluctant Lord, he has the capacity to exercise compassion and vision beyond most of those of his time. This enables him to take in a couple of young ladies who have become orphaned and homeless because of a fire, and it gives him the attitude that makes it possible for those girls and for a wounded soldier to live lives that are not constrained as they normally would have been in this society. Beautiful introduction to the Descendants series! 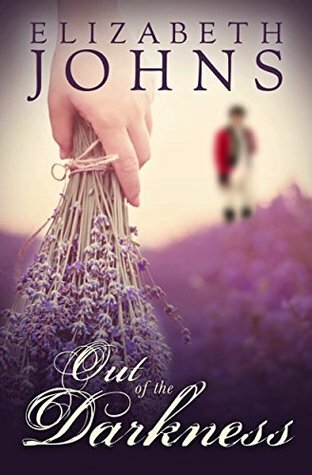 Out of the Darkness, nicely written by Elizabeth Johns, is the touching and romantic story of two beautiful souls! I love stories of war veterans because they are often written with lots of emotion, and this was the case for this sweet and short novella! It tells the story of John, a veteran from the Waterloo war and Catriona, a healer and a young woman with a gentle heart. John has come back from the war, a bruised man physically and emotionally. Catriona and her younger sister were orphans adopted by Lord Craig, a doctor and his wife. While helping her new father, she discovers that she needs to help people with herbs and decides to become a healer. Meanwhile, John returns from war and he’s asked to work for Lord Craig, where he meets and falls in love the moment he sees Catriona. As they spend more time together, their new friendship will evolve to a beautiful loving relationship. Beautiful chemistry between those two gentle souls! Catriona Craig is the adopted daughter of the previous Doctor Craig, now Lord Craig and his wife. Gavin Craig had adopted her along with her sister and brother a few years ago. Catriona doesn't want the London Season, she's content on their land in Scotland where she can practice her healing skills alongside her father. John Holdsworth had more than he ever thought possible. After surviving Waterloo, minus a few limbs, he not only was alive but didn't end up on the streets. And these past years he was able to be a steward for Lord Craig. He was blessed so he wouldn't feel sorry for himself that he'd never have a family and marriage. I love how the author brings the characters to life. It's so easy to fall in love with John. And Catriona has such a big heart. Loved it. Many of these characters were first introduced in the Loring-Abbott series. The Series of Elements series book one; Through the Fire, is the Craig's story and the adoption. I have enjoyed all of the books. I love a story that has a broken war hero find love when they feel they never would because of their external and internal scars. Most in high society treat them as monsters, and I always find that sad and demoralizing when they've sacrificed so much fighting against Napolean. This is a sweet story of 2 people fighting their own inner demons who are lucky enough to find genuine love. Catriona was orphaned when a carriage accident killed both her parents. She has had a fear of carriage rides ever I love a story that has a broken war hero find love when they feel they never would because of their external and internal scars. Most in high society treat them as monsters, and I always find that sad and demoralizing when they've sacrificed so much fighting against Napolean. This is a sweet story of 2 people fighting their own inner demons who are lucky enough to find genuine love. Catriona was orphaned when a carriage accident killed both her parents. She has had a fear of carriage rides ever since. John survived the battle of Waterloo, but was badly wounded. Although it's so brief that I know my enjoyment of it hinged on the fact that I had read all of the books of the previous generation. It felt like it was wrapping up loose ends while it was telling the short story of a daughter and one of the many veterans adopted/employed by the previous generation. Again, it was well enough written, but it's not a full-length novel, nor does it stand on its own. Another one of Johns good books. Enjoyed the theme of humility that was portrayed as the characteristics of this family even though they are titled and wealthy. They knew what to do with the plenty they had. This is rare in most novels of this genre. Kudos. This was a short one. It was nice to see what happens for Catriona, who we got to know more in "Into the Fire." As the wife of a veteran, it's nice to see members of the military depicted in books like this as real people, not just brave, hunky guys. A person with layers and depth and pain and joy. A good, quick read. Pleasant novella length story about an injured war veteran and an innocent orphan. While there are many sweet moments in this novella, the characters were not developed enough and it was too tame for my liking. A nice afternoon read either at the beach or by the fire in a rainy day. Nice character development. It's a clean love story that will leave you with a HEA.. Enjky! This was a nice addition to the rest of the series. I somehow missed this one, when I thought I was going in order. This did seem shorter than the others, but it was nice anyway. Short and sweet. Excellent novel with historical accuracy. There is literary licence taken with the father's acceptance of a unmarried virgin daughter attending men and births. But the story, characters, and setting is wonderful. This is a fairly simple story compared to others by Elizabeth Johns. I did enjoy it but not as much as previous stories. This review has been hidden because it contains spoilers. To view it, click here. A sweet romantic novella that makes my heart happy. Friendship blossoms into love. Very good character development, which makes you just fall in love with each of them! A short but satisfying read. I wish it was a long novel. Very likable charachters.